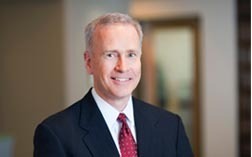 Mark Mills is a director with Betts Patterson Mines where he practices in the Insurance Coverage Practice Group. Practicing for over 30 years, he has advised insurers on coverage issues involving commercial general liability, commercial property, inland marine, commercial auto, homeowners, and personal auto policies. He has tried multiple cases to verdict in both coverage and defense contexts. He now advises insurers on coverage questions and represents them in related litigation under commercial general liability and related coverages, such as director and officer, employment practices, and management protection. Related duties to defend and indemnify against litigation or claims made under commercial liability policies. Obtained summary judgment that insurer had no duty to defend or indemnify under Washington law against construction defect allegations. Also obtained summary judgment dismissal of Washington State Insurance Fair Claims Act (IFCA) cause of action when insurer client denied duty to defend outright without defending insured under a reservation of rights or filing a declaratory judgment action. Chase Constr. N.W. Inc. v. AIX Specialty Ins. Co., No. C15-19, 2015 WL 12001272 (W.D. Wash. June 23, 2015). Drafted coverage analysis and letter denying coverage for claim that client’s Commercial General Liability policy covered the insured contractor’s liability for “get to” or “tear out” costs. This resulted in the client saving a six-figure sum for defense and indemnity expenses. Montana insured was sued for infringing on plaintiff’s intellectual property rights. Drafted coverage analysis and letter denying defense and indemnity that resulted in insured dropping bad faith claims against client. Advised Commercial General Liability insurers on segregating covered damages from excluded ones, making the correct indemnity payments, and avoiding extra-contractual liability in two cases (Oregon and Washington) in which arbitrators made large lump sum construction defect awards without supporting detail. Represented a surplus lines Commercial General Liability insurer. Following an audit, the insured contractor sued for a refund of its premium and named our client (the surplus lines insurer), the surplus lines broker, and producing broker. The insured also alleged failure to comply with Washington’s surplus lines statutes, Consumer Protection Act violations, and professional negligence. The suit was dismissed, and our client paid nothing. Advised a Commercial General Liability carrier of an insured subcontractor, which was a defendant in a Washington state condominium construction defect suit in which the owners’ association alleged $15 million to repair the complex, and the insured’s portion was $335,000. Our client and four other carriers were defending the insured under a reservation of rights. The insured’s liability was settled for $7,500, and our client’s share was $1,750. Advised the Commercial General Liability carrier of a large commercial potato grower and a potato growers’ association. The insureds were defendants in price fixing federal suits in California and Idaho. Our unchallenged coverage denial saved our client tens of thousands of dollars in defense costs. Advised a condominium developer’s Commercial General Liability carrier. The condominium developer was a defendant in a Washington state construction defect suit. Our unchallenged denial of the duty to defend or indemnify under the sold or alienated premises exclusion saved the client hundreds of thousands of dollars in defense costs and indemnity payments. Advised the Commercial General Liability insurer of a Montana plant nursery. The insured nursery was a defendant in a federal patent infringement suit set in a Missouri federal court. Our unchallenged denial of the duty to defend or indemnify saved the client tens of thousands of dollars in defense expenses and indemnity proceeds. Advised the inland marine insurer of a Montana contractor. The contractor sought coverage for defective construction of part of a project to build a cell phone tower. Advised carrier to indemnify saving client from extra-contractual exposure and associated expenses for incorrect denial of a claim involving esoteric coverage issues. Successfully defended marine insurance broker against errors and omissions suit for failing to procure war risks coverage where the causes of the vessel's loss - Russian authorities' seizure of vessel or Russian court's transfer of vessel's title - would not have been covered under war risks endorsement. International Ultimate, Inc. v. St. Paul Fire & Marine Insurance Co., 122 Wn App. 736, 87 P.3d 774, review denied, 153 Wn. 2d 1016, 101 P.3d 109 (2004). Author, Hazy Coverage: Analyzing the Duty to Defend Newly Insured Marijuana Businesses under Standard CGL Provisions, CLM Magazine, March 2018. Co-author (along with Daniel L. Syhre and Kathryn N. Boling), “Get To” Costs Correctly Understood, In-House Defense Quarterly, 56 – 60 (Spring 2016). Presenter/Panelist, Defending Under Reservations of Rights in Alaska, Idaho, Oregon, and Washington: Pitfalls to Avoid for Insurers and Defense Attorneys, Claims and Litigation Management Alliance (CLM) Pacific Northwest Regional Conference, (March 10, 2016). Presenter, Insurance 411: What Every New Lawyer Must Know, Young Lawyers Division of the King County Bar Association, (April 16, 2015). Presenter, Construction Defect Disputes & Litigation: Using Coverage, Case Law and Indemnification to Shift Liability, NBI, (December 8, 2014). Presenter, Subrogation: Medicare, ERISA, Auto and Workers’ Compensation Challenges, NBI, (June 26, 2013). Author, Finding and Construing Policy Language, Washington Motor Vehicle Accident Insurance Deskbook, Chapter Supplement, Washington State Bar Association, (2009 Supplement). Mark has given in-house presentations on insurance related topics to carriers and the local CPCU organization.